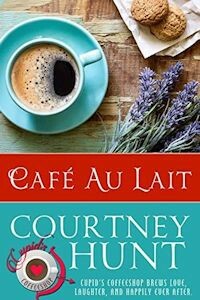 Cafe Au Lait is the 5th novella in the Cupid’s Coffeeshop series. This one centered around Kennedy and the literal boy next door, Alex. Alex also happened to be the younger brother of one of Kennedy’s best friends, which added a nice little bit of awkwardness to the story. All of these novels center around a coffee shop in Ashford Falls, known for its part in creating love that is usually unexpected for those involved. Kennedy has known Alex since childhood, but he’s always been off-limits. But now he’s back and she can’t avoid what’s right in front of her. Alex. Overall: While I like the idea that it is never too late to find love with someone, this one was a little instalovey for me. I loved the characters, but I would have liked a little more of the romance right along with the steaminess. But it was still a fun read and I am ready for the next!